Buy 2013 Best Selling Palm Oil Press 6YL-165 - Shandong Leader Machinery Co.,ltd. 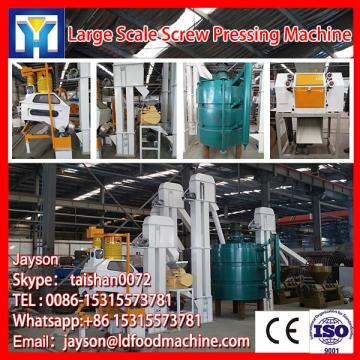 this series screw oil press are an excellent model screw oil press through numerous experiments and long time usage by all of the world clients. this kind of oil press machine is advanced screw type expeller press which is widely used in squeezing oil from vegetable oil seed,such as soybean, peanut, sunflower seed, cotton seed, sesame, tea seed, copra, jatropha curcas, castor seed ,etc. it is specially for the palm fruit better after adjusting its structure ! And the product oil is for both edible and biodiesel fuel purpose. It has advantage of high efficiency, low consumption, simple operating, stable function, easy to maintain,high productivity and high oil output ratio. For the whole 2013 Best Selling Palm Oil Press 6YL-165,warranty is 12 months,within 12 months,if have equipment quality problems,we will provide accessories freely. After the expiration of the warranty period,if have spare parts problem,we only receive the cost of required replacement parts.We commit we will provide free technical support of equipment all whole life. Our company has engaged in producing and exporting 2013 Best Selling Palm Oil Press 6YL-165 for many years, and until now, our machine has exported to overseas market, such as Brazil, India, Indonesia, Russia, Thailand and so on, and get the foreign customers' unanimous praise. We believe that you purchase Shandong Leader Machinery Co.,ltd. 2013 Best Selling Palm Oil Press 6YL-165 is your best and sensible choice.